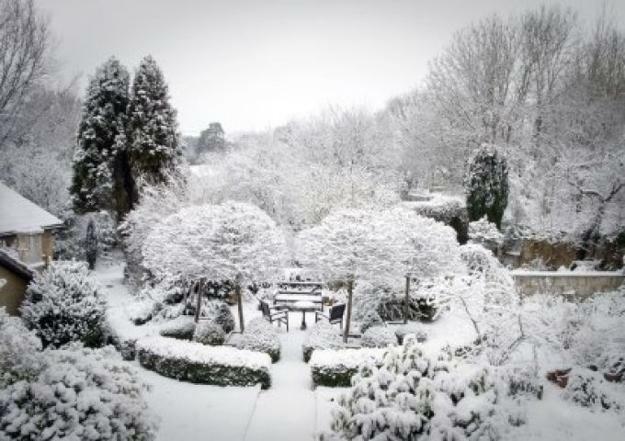 Beautiful garden design looks and feels great in all seasons. 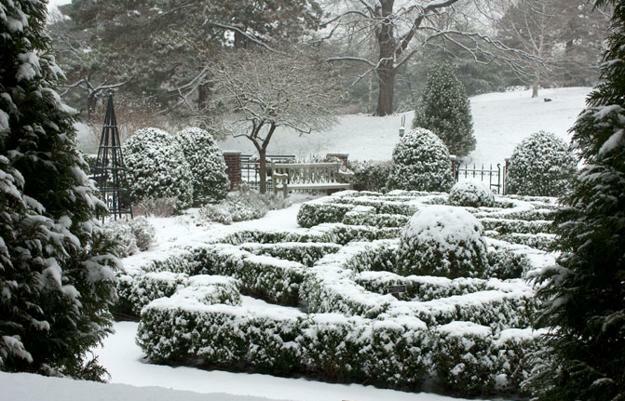 Even in the cold winter, well-pruned evergreen plants and shrubs can provide an elegant, formal look to snow-covered yards. 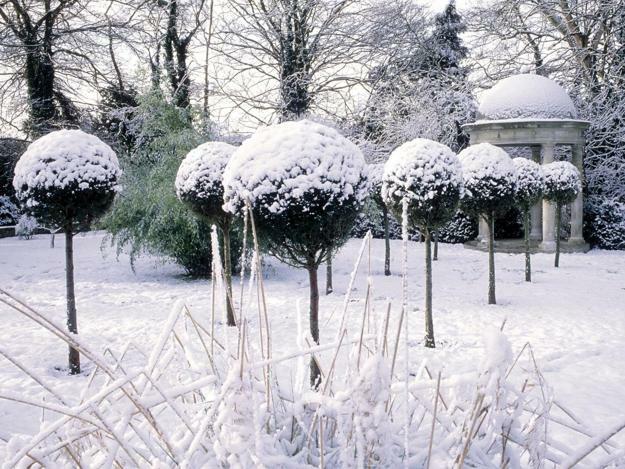 The snow creates amazing forms in natural gardens, surprising with the shapes of natural decorations designed by the nature. 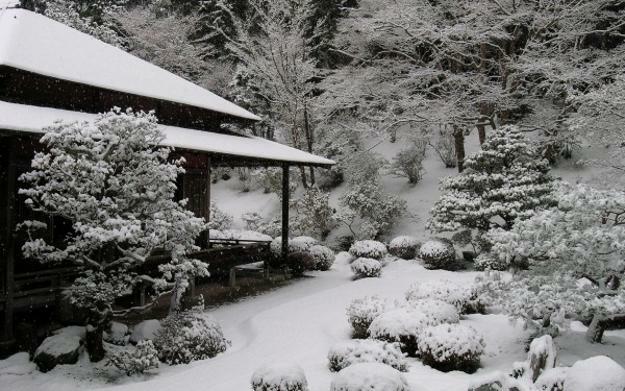 Lushome shares a collection of spectacular, peaceful and charming winter gardens. 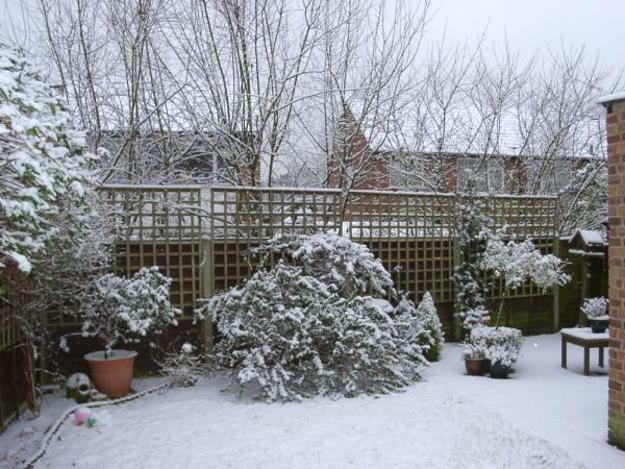 Winter gardens can be enhanced by smart garden design, spacious layout, softly curved garden paths and evergreen plants. 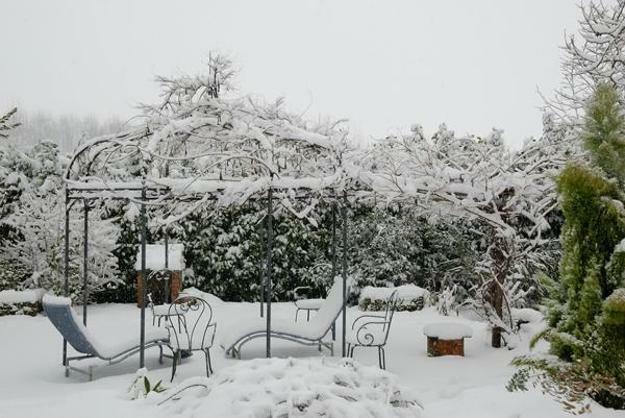 A wonderful climate and unique nature help create and enjoy beautiful and colorful winter gardens, but even in the cold winter with snow and icicles well planned garden designs look very attractive, bright and inviting. 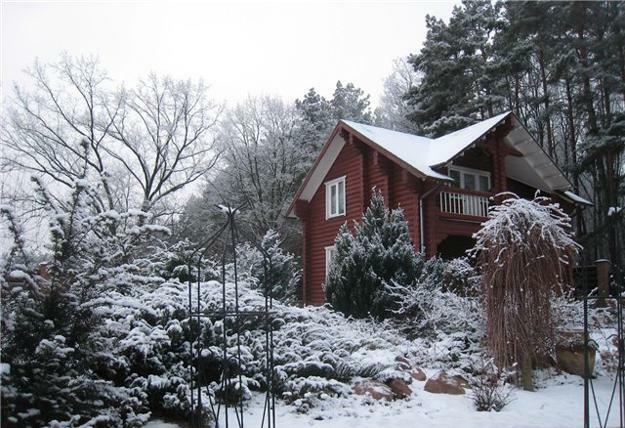 If you like snow, then you appreciate the soft pastels and stunning white decorating, created by the nature in winter. 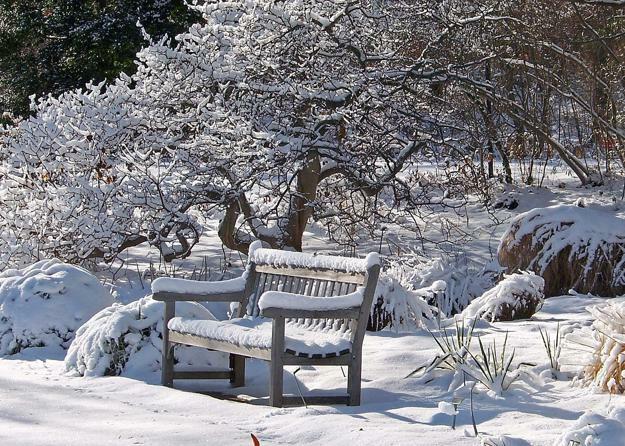 All bright colors fade away in fall, and sitting on the garden bench covered by snow, looking at the snow capped trees and shrubs is a true pleasure. 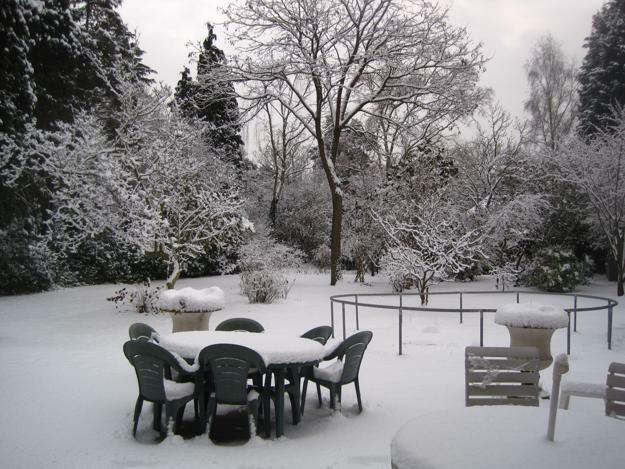 The space is important in winter garden design. 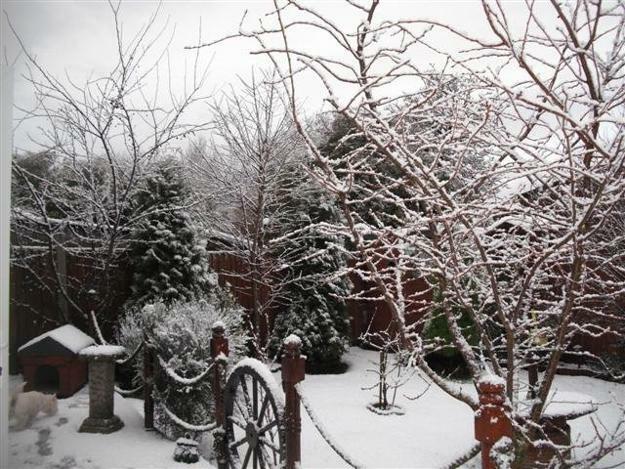 A small lawn and a wide garden path allow the snow to create breathtaking beauty, adding soft curves to yard landscaping. A nice view of the winter garden enhance interiors and please the eye. Gardening that begins in the spring does not need to end in the fall. 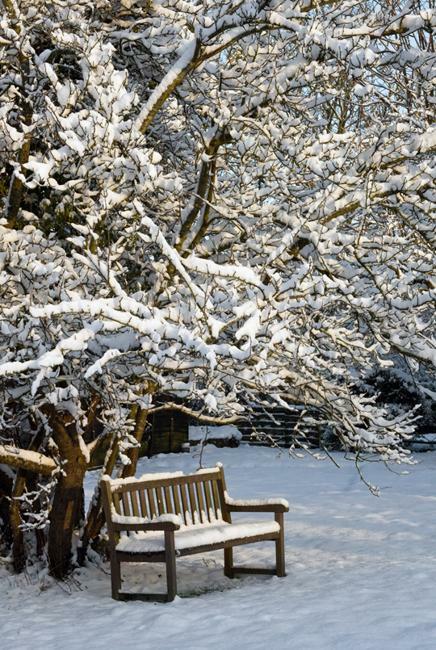 Creative outdoor furniture placement ideas and beautiful outdoor decorations, like birdhouses, bird feeders, benches, small bridges and sculptures help envision a fantastic winter garden design. Birdbath is another great addition to your winter garden design to make it a heaven for birds on a warm sunny day. 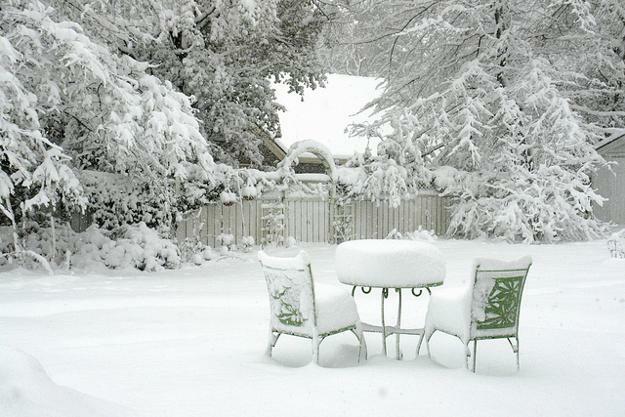 When the garden beds, trees and shrubs have been cleared and the snow begins to melt, you will not be left with a gray, lacking any interest, boring yard landscape. 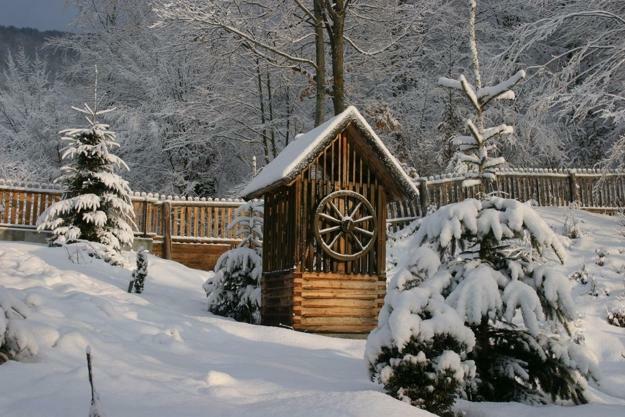 With a little imagination and planning, you can add bright colors to your winter garden design and enjoy cheerful yard landscaping in winter. 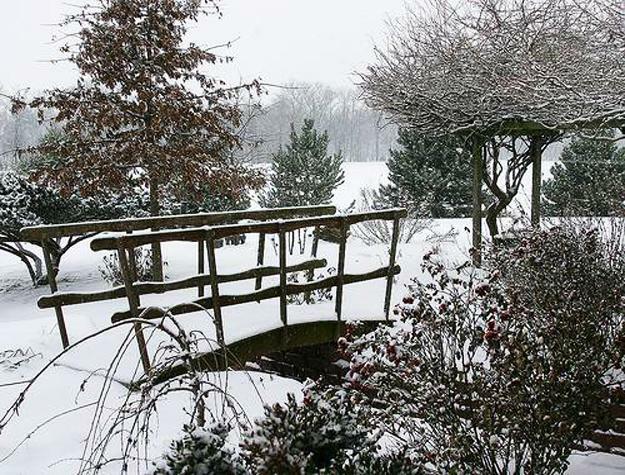 You can leave your garden to rest and enjoy the snow and quiet and calming natural neutral colors. 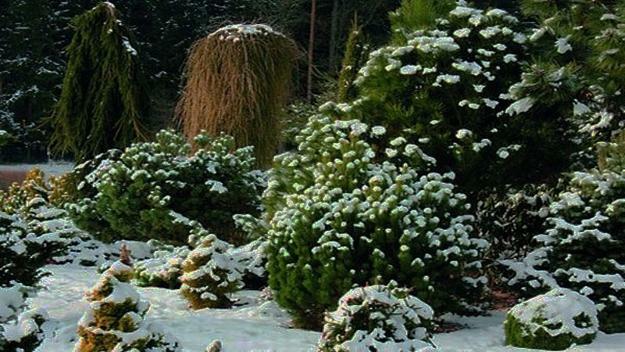 There are many hardy plants that can add gorgeous shapes, texture and color to your winter garden. Blue rug juniper, Irish moss, pine and spruce trees, evergreen hardy bamboo and wintergreen ground covers. Shrubs with bright red berries are wonderful for winter gardens, as these plants add interest and color to yard landscaping. 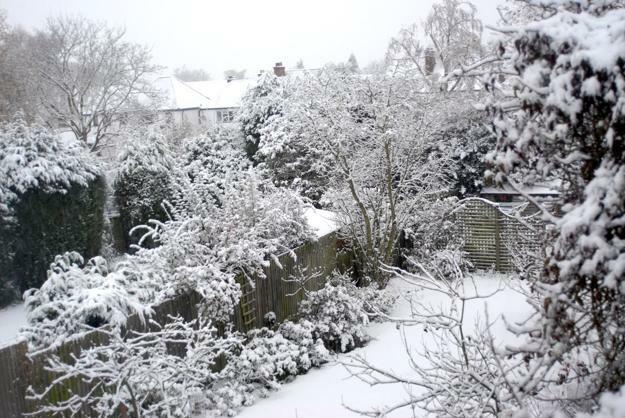 The planning a layout of your winter garden is very personal task, but additional space for garden paths are required to allow the snow to create spectacular forms in the areas which are easily viewed from the windows of your home. 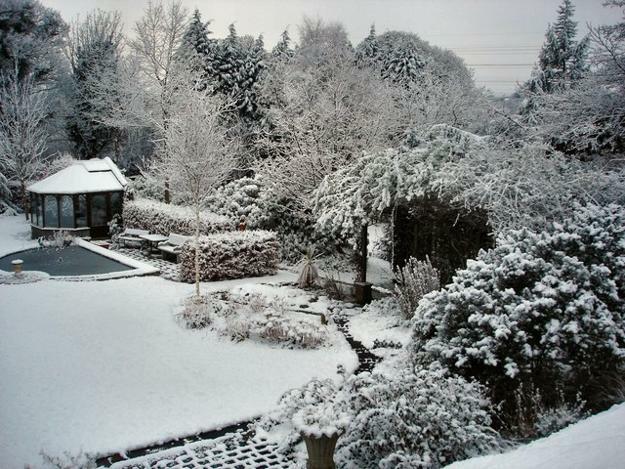 Adding solar lights can create a spectacular scenes on those cold winter nights and beautify early spring garden design. 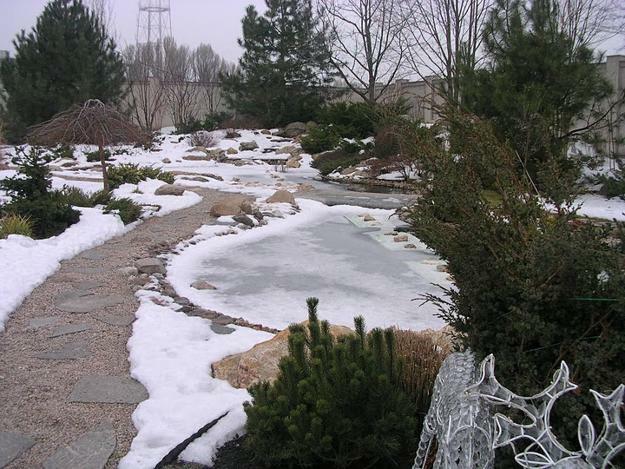 There are solar lighted statues, spotlights and pathway lights that can be used for winter garden in the no snow regions. 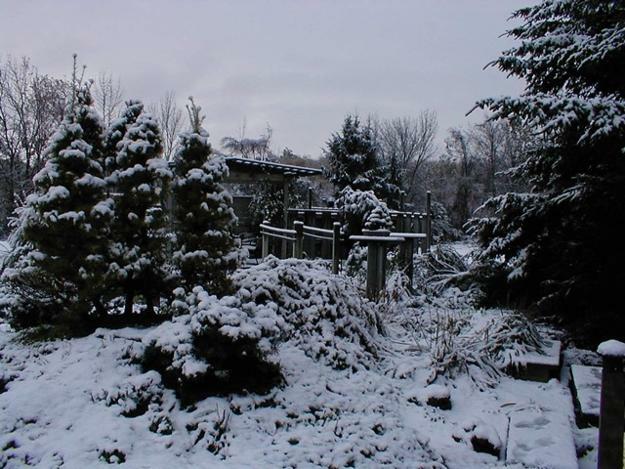 Winter garden design and yard landscaping ideas are only limited by your own imagination and creativity. There is no reason that your gardening enjoyment has to end in the fall and start in late spring. 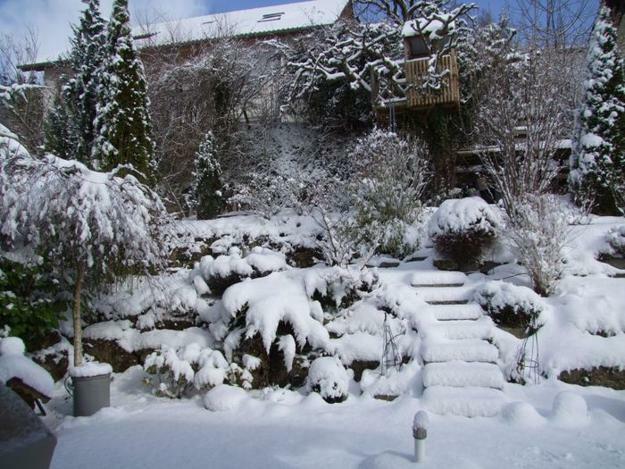 You can enjoy fresh air in your beautiful winter garden and enhance your interiors with spectacular views of your garden in winter. 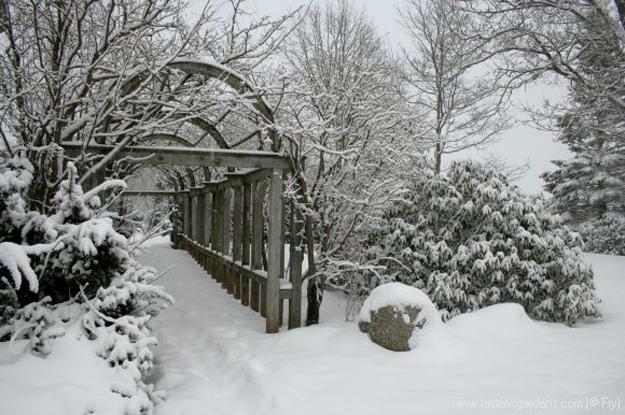 It is not difficult to create a charming, peaceful and unique winter garden design and enjoy the secluded oasis all winter long.